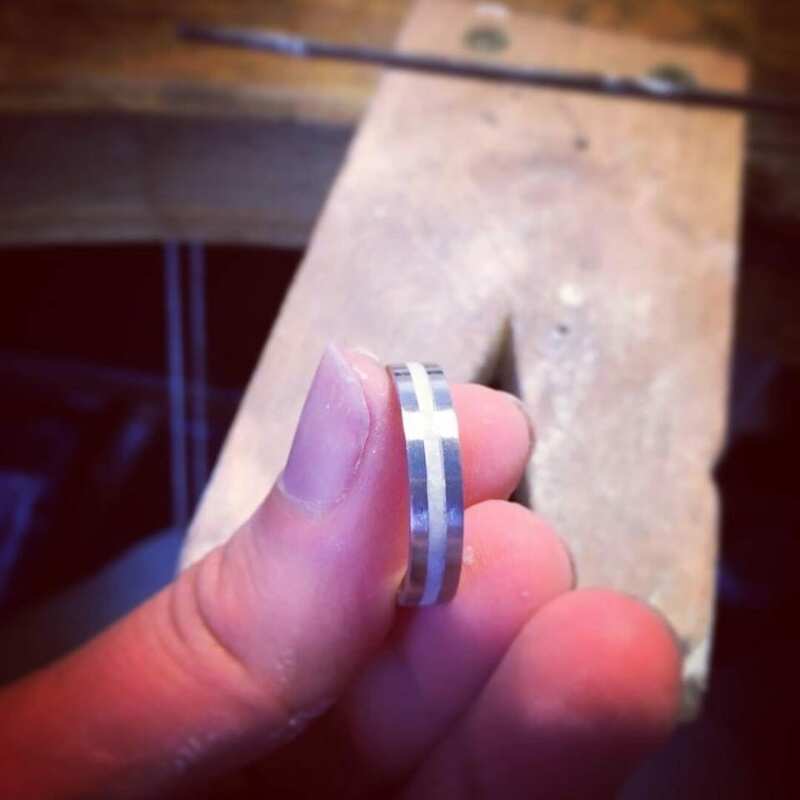 Last Spring I was contacted by local couple Candi & Michael, who were looking for bespoke wedding rings, made locally and as ethically as possible. As a Fairtrade Registered Jeweller based in Reading I fitted the bill. 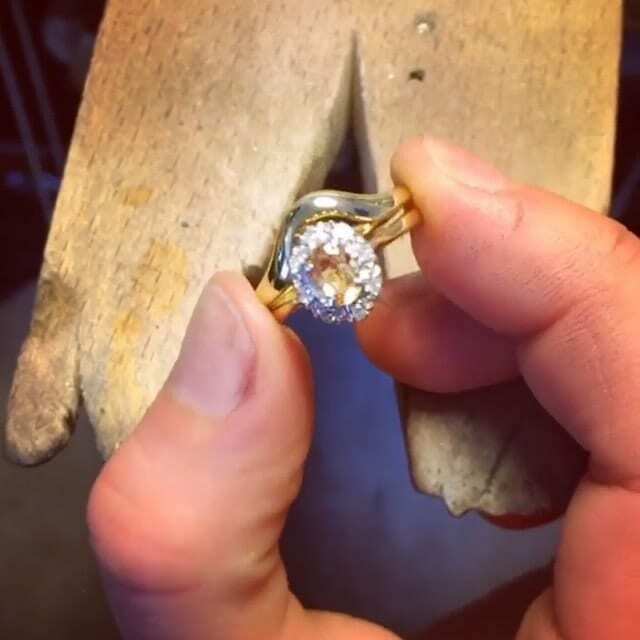 Candi had a vintage imperial topaz and diamond engagement ring, with an oval shaped low setting. 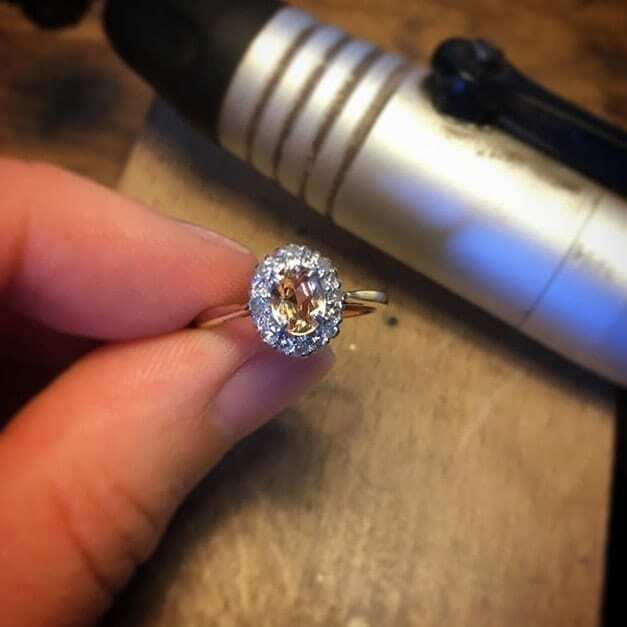 This meant that she couldn’t just have a simple, straight wedding band; instead she would need a bespoke, shaped wedding ring to work with the oval setting of her engagement ring. 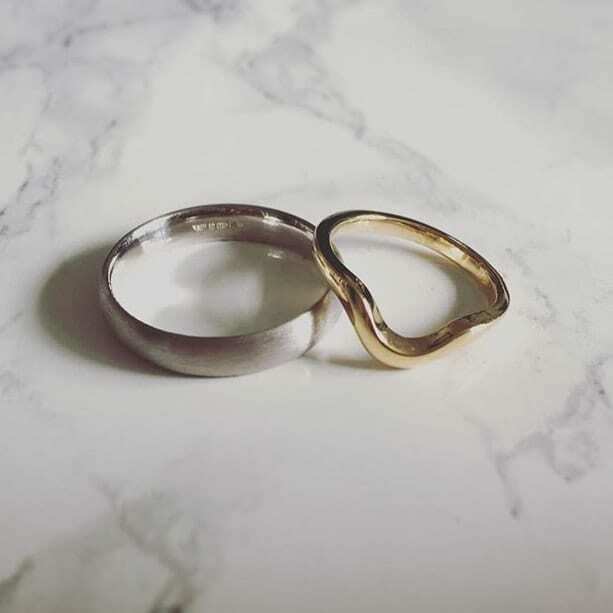 As well as needing a specially shaped wedding ring, Candi also wanted both their rings to be handmade locally, and from ethically sourced metal. Candi’s fiancé Michael had ideas of a simple wedding ring, that would be comfortable to wear. After a trail of emails and messages we decided to meet up to discuss their designs in more detail, and to see Candi’s vintage engagement ring in person. During this initial meeting I was able to show Candi and Michael examples of styles and designs that were possible to fulfil their brief, alongside explaining the making processes and how I source my materials as a Fairtrade Jeweller. After our meeting I was able to take accurate measurements from Candi’s engagement ring, and produced several quotes for them. Candi’s ring dictated Fairtrade 18ct yellow gold to work suitably with her engagement ring. 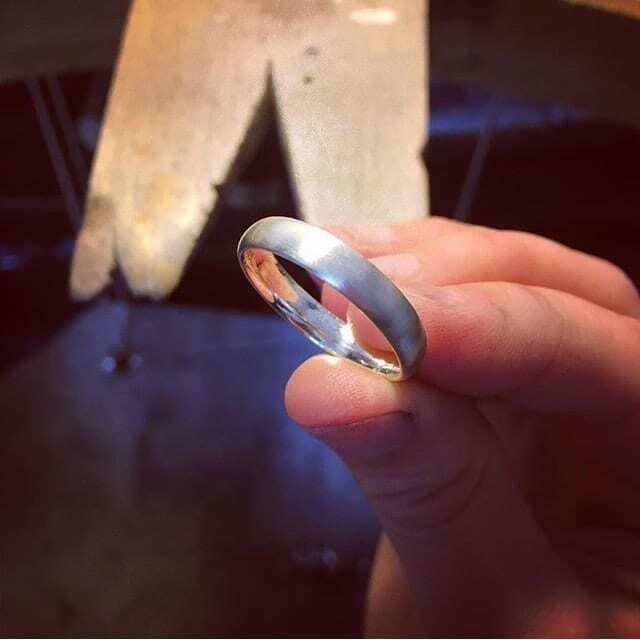 However, I quoted in a range of metals for Michael’s ring, to give several pricing options; and after some research I was also able to offer a quote in Fairtrade 9ct white gold. This gave them the choice of Fairtrade gold for Michael’s ring, but without the cost incurred with 18ct gold. 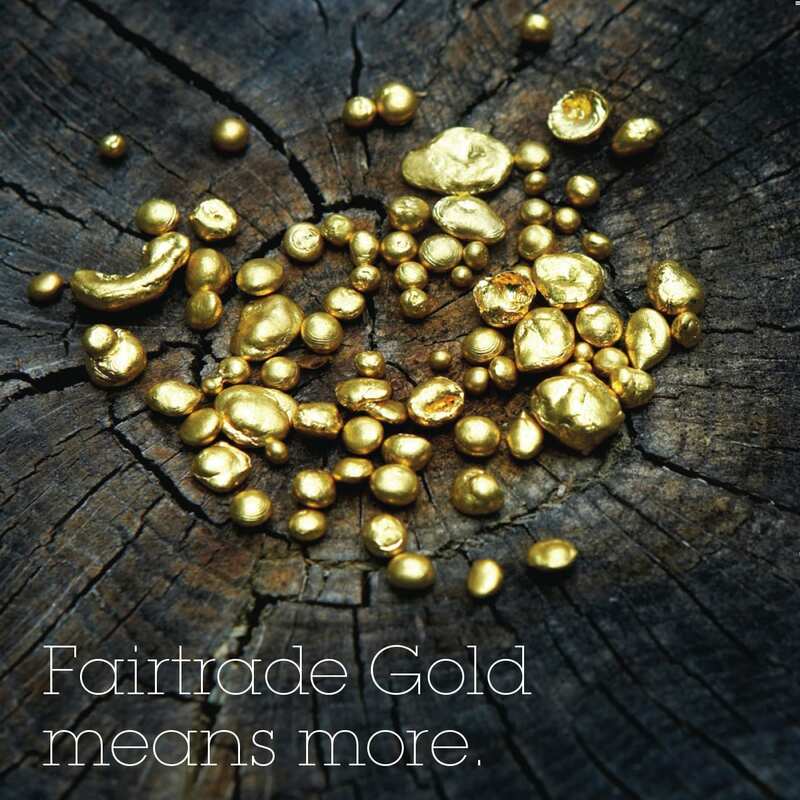 (Fairtrade 9ct is not usually as readily available as Fairtrade 18ct gold). After confirming the designs that worked within their budget, it was time to start making. 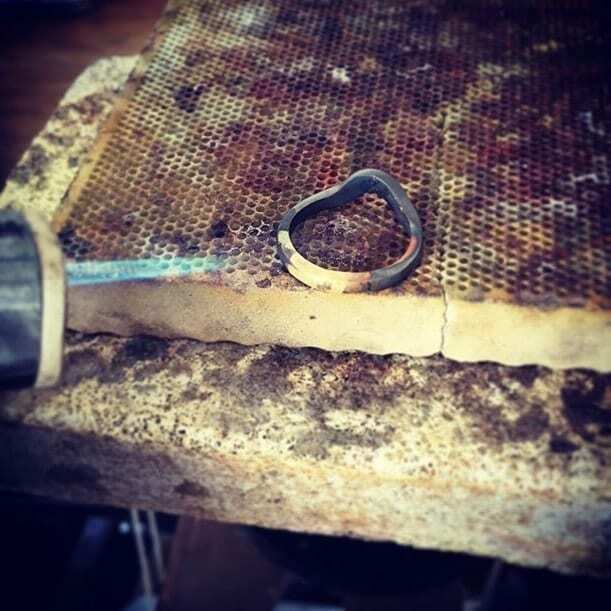 For Candi’s bespoke shaped wedding ring, from wax I hand-carved a ring to sit perfectly with her engagement ring. 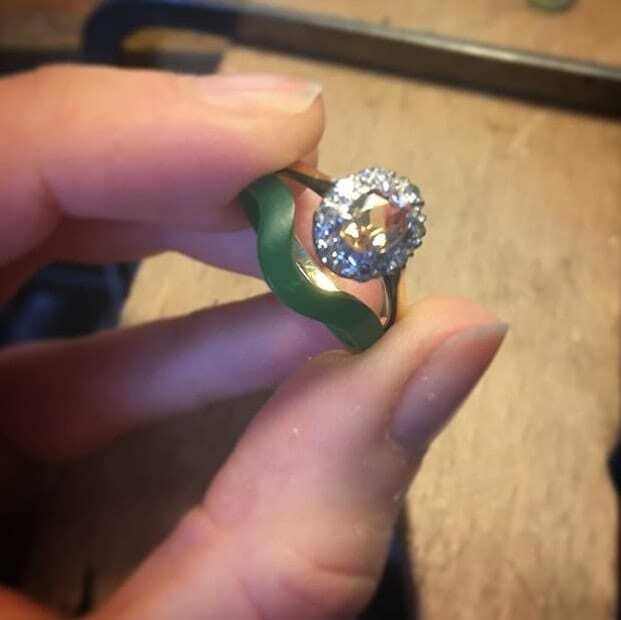 From this wax ring, Candi could try it on for size and adjustments could be made to the dimensions before it was cast directly into Fairtrade 18ct yellow gold. During the carving process I worked directly with Candi’s engagement ring, modelling the wax against the shape, to ensure a perfect fit. After a fitting in its wax form, it was then cast into gold. 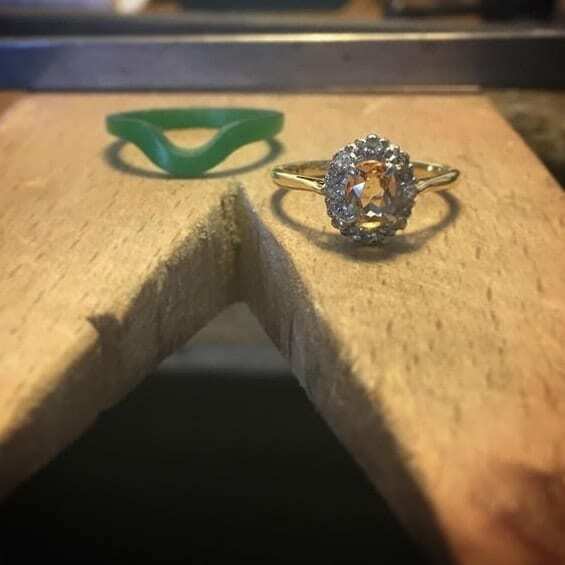 Once cast and after an initial polish, Candi got to try it on for size again to ensure the perfect fit before it was hallmarked and polished to a high finish. Meeting for several fittings throughout the process allows for adjustments and tweaks to make sure the design is progressing how the customer envisaged it, and to ensure the perfect fit. Michael’s ring was simpler in design and was cast directly into Fairtrade 9ct white gold. Once cast Michael got to try on for size and we discussed the different options for the final surface finish. It was real pleasure working with Candi & Michael to create their perfect wedding rings. I particularly enjoying wax carving as a skill, so this one was really enjoyable for me personally. 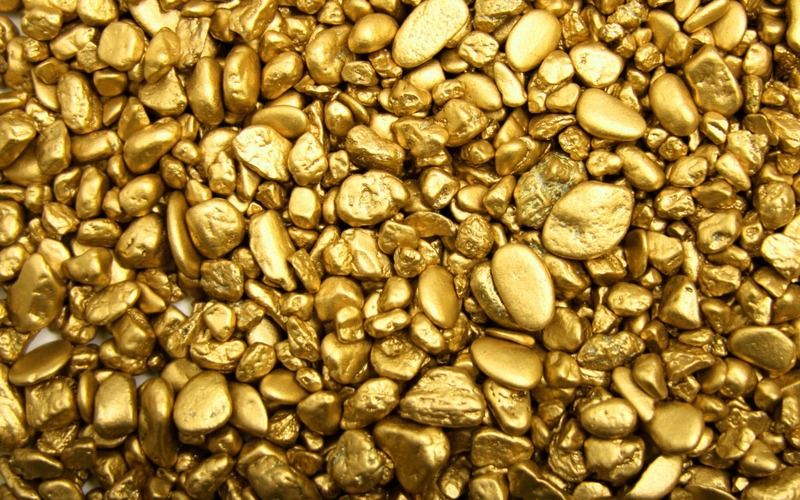 It’s also always really lovely to work in Fairtrade gold, and to be able to tell your customers where their gold come from, and who mined it, and with the knowledge that the workers were paid fairly and the processes used were more environmentally conscious.